You can find baptisms, marriages, and burials in Parish Registers. Whilst Birth Records were usually not recorded, the baptisms of children were. The record would usually give the name of the child, their parents, and where their parents lived. You can use this information to trace their parents, as their marriage record is likely to be in the same place where they live. The marriage record would give you the parishes of both bride and groom, allowing you to trace their parents in the parish, and so on. For Births and Deaths, you need the GRO Indexes which go back to 1837. There may also be other information in the records - for example, in a marriage record, the Bride's Parish may be noted. Later records usually hold more information than the earlier records. 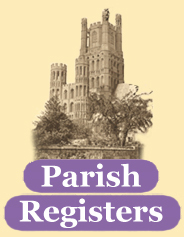 The original parish registers are usually stored in a county record office. These can be viewed by the public, but the archivists are reluctant to allow handling of these old and unique books.